High ethical standards constitute the foundation of high-quality scientific research. Scientific research as a public trust must be conducted according to specific codes, rules, governmental laws, and regulations relating to research ethics. The aim of this paper is to highlight the fundamental ethical principles in scientific research, and those common to sport science and medicine. 1. Carpi A., Egger A.E. Scientific ethics, Vision learning 2009; Vol. POS-2 (5). Available at: http://www.visionlearning.com/library/module_viewer.php?mid=161. Accessed 4/6/2013. 2. Center for Bioethics. The University of Minnesota. A Guide to Research Ethics, 2003. Available at www.bioethics.umn.edu. Accessed 12/6/2013. 3. Centre for Research Ethics & Bioethics (CRB). Uppsale Universitet. Education: Postgraduate courses. Available at: http://www.crb.uu.se/education/postgraduate.html‎. Accessed 13/6/2013. 4. Declaration of Helsinki. World Medical Association. Available at: http://www.wma.net/e/ethicsunit/helsinki.htm. Accessed 12/6/2013. 5. Foundation for Polish Science. The European Charter for Researchers and the Code of Conduct for the Recruitment of Researchers 2012. Available at: http://www.fnp.org.pl/.../EN_Europejska_Karta-Naukowca Accessed 27/06/2013. 6. 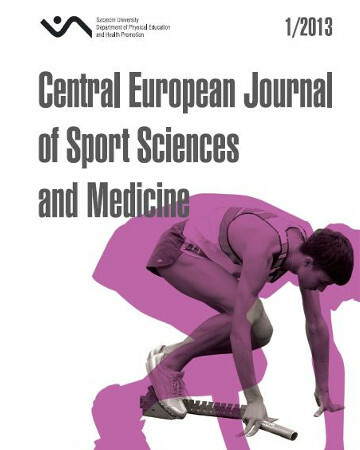 Harriss D.J., Atkinson G. International Journal of Sports Medicine – Ethical Standards in Sport and Exercise Science Research. Int. J. Sports Med. 2009, 30:701-702. 7. Hunter D. Locating ethics in research. In: Hughes J (ed.). European Textbook on Ethics in Research. Studies and Reports European Commission. Luxembourg: Publication Office of the European Union, 2010, 15-19. 8. Indian Council of Medical Research. Available at http://www.icmr.nic.in/ethicol.pdf Accessed 27/06/2013. 9. Institute for Laboratory Animal Research. National Research Council. Guide for the Care and Use of Laboratory Animals. Washington, D.C.: National Academy Press. 1996;140. 10. Khan K.M., Stovitz S.D., Pluim B., Cook J.L., Bahr R., Arendt E.A., Noakes T.D. Addressing conflicts of interest and clouding of objectivity: BJSM’s “Peer review: fair review” section. Br. J. Sports Med. February 2008, vol. 42(2). 11. Resnik D.B. What is Ethics in Research & Why is it Important. May 1, 2011. Available at: http://www.niehs.nih.gov/research/resources/bioethics/whatis/ Accessed 27/06/2013. 12. Saudi Journal of Sports Medicine: Instructions for authors. Available at: http://www.sjosm.org/contributors.asp. Accessed 10/07/2013. 13. Shephard R.J. Ethics in exercise science research. Sports Med. 2002;32:169-183. 15. Wikipedia, the free encyclopedia. Research ethics. Available at: http://en.wikipedia.org/wiki/Research_ethics Accessed 27/06/2013. 16. Zespół Etyki w Nauce przy Ministrze Nauki i Informacji. Dobra praktyka badań naukowych. Rekomendacje, Warszawa 2004. Available at: http://www.zakladdydaktyki.wum.edu.pl/teksty/Dobra_praktyka_w_nauce.pdf‎. Accessed 10/07/2013.